08 | October | 2010 | What's Cooking at the Genua's? So the calendar says it’s Fall. I have to say it has been cooler than normal here in south Florida. Remember, it’s cool for us. In the mid 70s! The weather people say it’s cooler than normal for this time of year. I think they’re right. I’ve gotten used the Fall weather arriving in time for Thanksgiving! Halloween is usually pretty warm here. But either way, it’s Fall. I remember years and years ago when my family would go up to Maine for a long weekend. We have a house in Naples, Maine. A summer “camp” as they call it. No heat. No insulation. Indoor plumbing! But you don’t go up there in the winter or after the lake freezes. Yes, the house is on a lake as well. So Columbus Day weekend was usually the last time we went up. 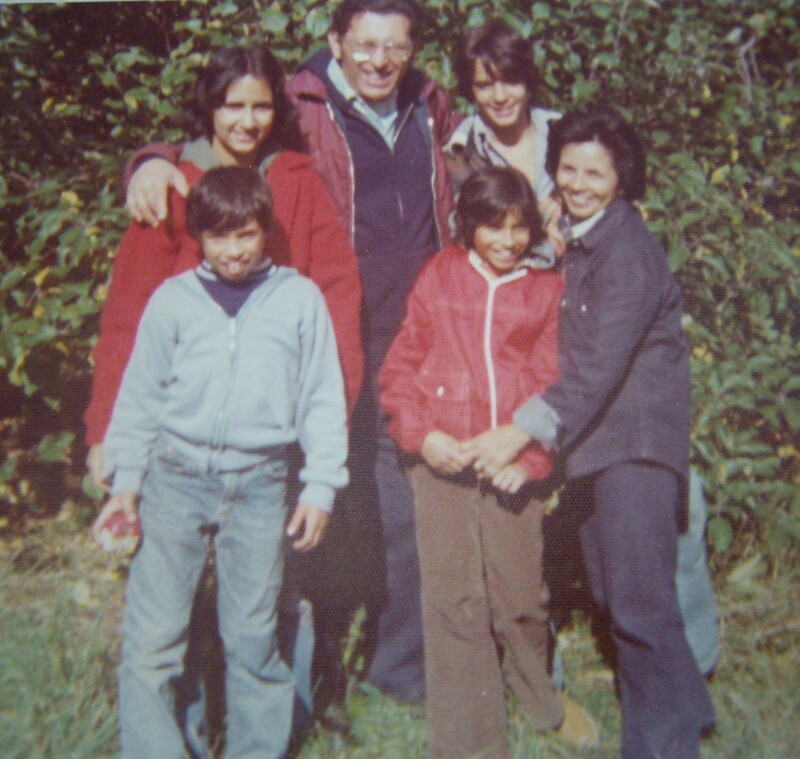 One of the traditions we had, for a few years anyway, was to go apple picking. No matter how sullen or grumpy some of were we always had fun. We ate more apples than we picked sometimes! The weather was always beautiful. Cool but not cold, sunny and clear. I do miss that part of being up north this time of year. We have pumpkin ‘fields’ here. They are usually on a corner lot on the road or church yard. Places where in another month or so we’ll see Christmas trees. It’s just not the same to go pumpkin picking here! So all this talk of “Fall” weather had me thinking of a seasonal martini. Did the pumpkin one already. And since I associate apple picking with the Fall this martini sounded perfect. 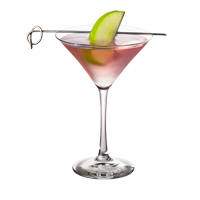 Sort of like an apple cosmo! Anyway, give it a try and enjoy the Fall weather however you can! Add ingredients into a cocktail shaker with ice. Shake well and pour into chilled martini glasses. Garnish with an apple slice or cranberries on a toothpick.